Ok Dolls, a little something about me. I’m always in search of a product, some type of makeup, and/or fragrance. Not necessarily what’s on trend, but what I like. Last month I decided that I needed a new eye shadow palette. I searched online and ventured to my normal beauty haunts, but to no avail. I gravitate to neutrals, but wanted to try something a little different. However, I’m “une femme d’un certain age,” and can’t walk around looking like The Joker. 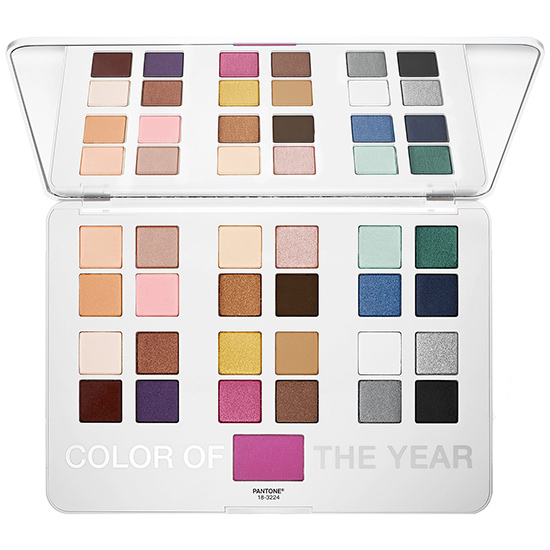 Some free time on Thursday evening led me into Sephora and as soon as I entered, “ta-da,” my new eye shadow palette – +PANTONE UNIVERSE The Eye: Radiant Femme Artistry Set! 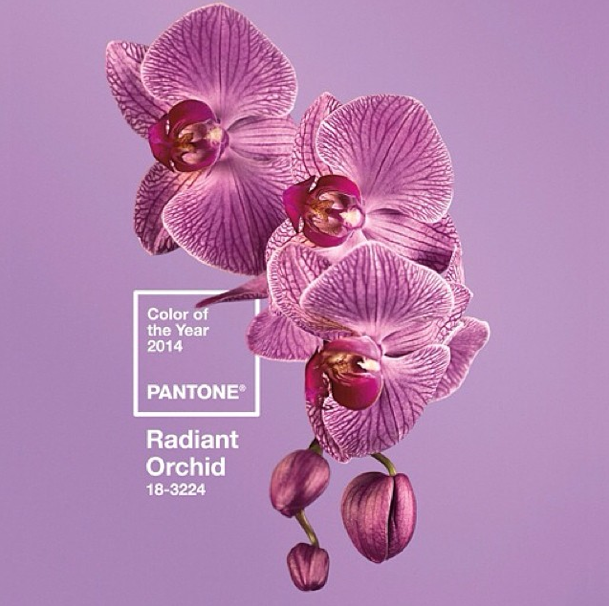 As you know, Radiant Orchid is the Pantone Color of the Year 2014, and is simply one word, pretty. In addition to Radiant Orchid being centered prominently on the palette, there are 24 other beautifully rich colors that will match your mood or #ootd you are rocking. But, the genius of this set, the case! It’s slim and light and resembles the iPad Air. 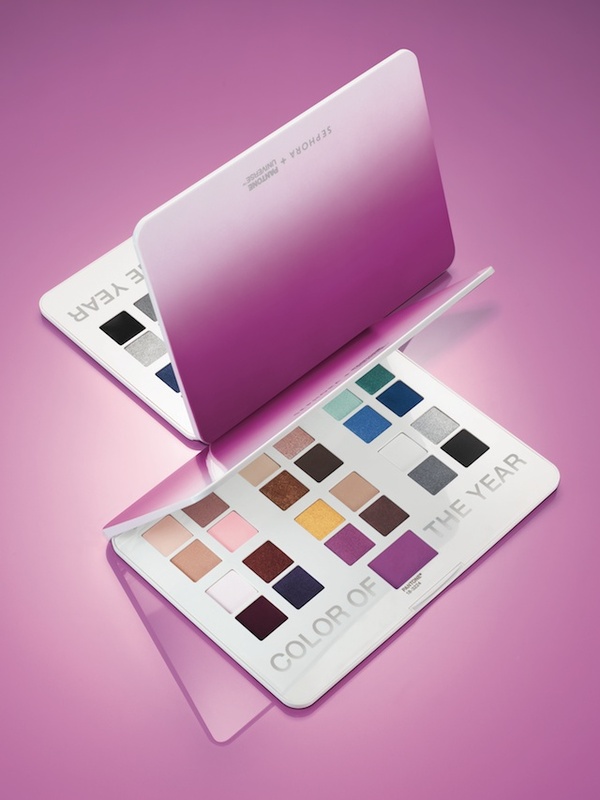 Of course the case color is Radiant Orchid. I’ve coined it, “The eyePad!” You can easily slide the case in your tote without adding bulk, and voila, have makeup will travel. I am on travel next week for business and pleasure, and so look forward to having all my eye shadows with me in one stylish case. Sephora and Pantone created sevaral other items in the SEPHORA+PANTONE UNIVERSE Collection – SEPHORA+PANTONE UNIVERSE The Face: Radiant Femme Artistry Set, SEPHORA+PANTONE UNIVERSE Gaze Brush Set, SEPHORA+PANTONE UNIVERSE Nail Ambrosia Trio, and SEPHORA+PANTONE UNIVERSE Radiant Rush Matte Lipstick. Described as “petal soft or vividly intense, this limited edition collection provides a modern feminine jolt for eyes, lips, cheeks and nails.” You need this in your life for your radiantly beautiful self this spring. We’re continuing our quest to adopt a healthier lifestyle, but I admit it’s some times challenging to find new recipes to try. I was recently introduced to Food Babe – if you are not familiar, check her out – and came across this recipe for a Cauliflower & Lentil Taco Wrap. Doesn’t sound appetizing? It’s beyond delicious! I made it yesterday and we’ve been snacking on it ever since. As a matter of fact, it replaced what we were planning for dinner. Let me know what you think. Bon Appetite! For the taco filling: Rinse the lentils and drain well. Combine the lentils and 3 cups water in a small saucepan. Bring to a boil, then reduce the heat to low and simmer until tender, about 30 minutes (or 5 mins if you are using sprouted). Drain off excess water and set the lentils aside. Pulse the cauliflower in a food processor or chop by hand with a knife until reduced to pieces the size of rice grains. Add the onions and jalapenos and cook until the onion is translucent, 5 to 7 minutes. Add the cauliflower, garlic, 2 teaspoons of the chili powder, 1 teaspoon of the cumin and cook for 4 minutes. Stir in the tomato sauce and cook until the cauliflower is tender, another 3 minutes. Add the cooked lentils to the cauliflower mixture. Add the remaining 2 teaspoons chili powder, 1 teaspoon cumin. Stir in the salt and pepper and cook for 3 minutes more to blend the flavors. Top with fresh lime juice, avocado and/or sour cream. Every once in a while I run into something that is just too good not to share – a must-have. This one is for the Mommies and Mommies-to-Be. 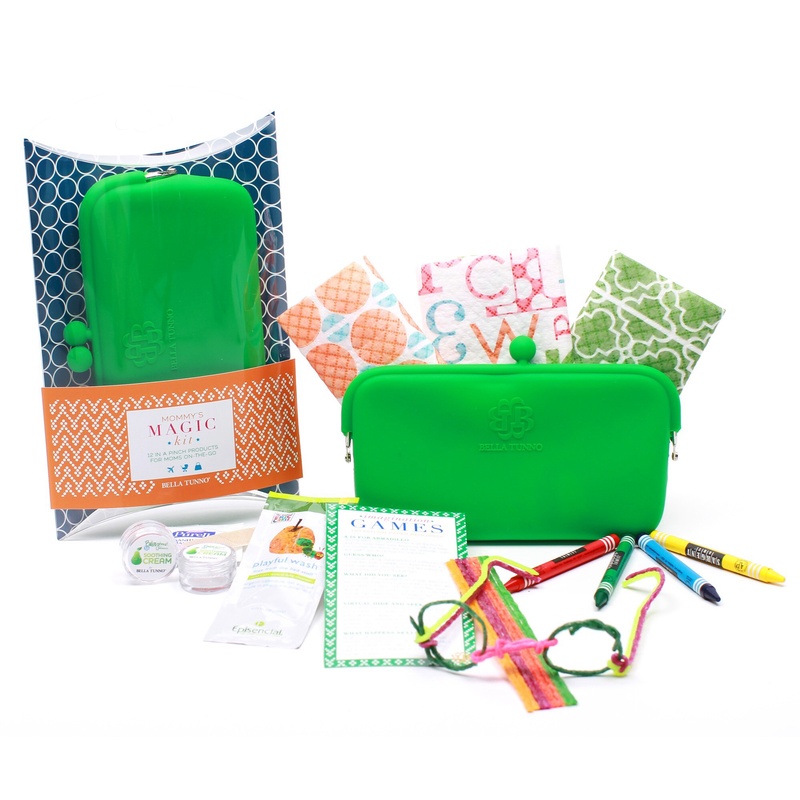 It’s called the Mommy’s Magic Kit by Bella Tunno. The Mommy’s Kit is a stylishly cute clutch for Mommies-on the-Go. Perfect for Spring, the Kit comes in green, orange, teal and pink; and contains 12 “in a pinch” products – everything from disposable bibs to babytime Sunny Sunscreen, to crayons. I can also see using the clutch as a wallet or cosmetic case. Bella Tunno is also a good corporate citizen. A portion of every purchase is donated to the Matt Tunno MAKE A DIFFERENCE MEMORIAL FUND, established in memory of Matt Tunno, the late brother of Bella Tunno founder, Michelle. I love the idea of a swanky shower gift that gives twice! Hey Dolls! Happy Sunday! Today’s Champagne Sunday is not the usual champagne cocktail recipe. I ran across these goodies in a magazine and thought they were too cute (in a kitschy kind of way) not to post. They’re Stack Wines. 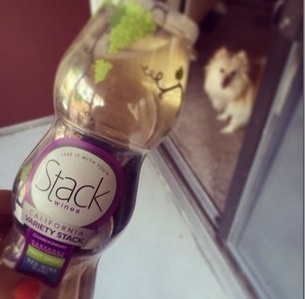 What are Stack Wines you ask? Well, they’re stackable, single servings of California wines. Each sleeve contains four, 187ml “stackables,” equivalent to a 750ml bottle of wine. Apparently, you unzip the sleeve, unsnap the glasses, peel back the foil and sip. Now quite frankly, I am skeptical of the quality of a wine that comes in a zip sleeve with an aluminum lid, but I imagine these little numbers would be quite convenient for locations where glass containers are not allowed ~ the beach, an outdoor concert, and some tailgate party locations. Stack Wines has also received a great deal of press ~ Food Network and Real Simple Magazines, Cosmo (I wonder would HGB dare try Stack), InTouch, OK!, The LA Times and the New York Times. I’m sure the reviews are mixed. I still love the aesthetic of a beautiful bottle of wine on the bar, and consider myself a wine snob; but I am willing to give Stack a try. Would you? 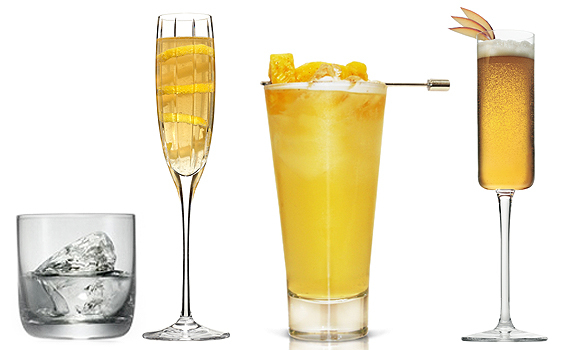 It’s Champagne Sunday, and I’m sure you are not surprised that today’s champagne cocktail is a nod to the 86th Annual Academy Awards. I love the actual ceremony, but am more excited for the E! Live from the Red Carpet arrivals. 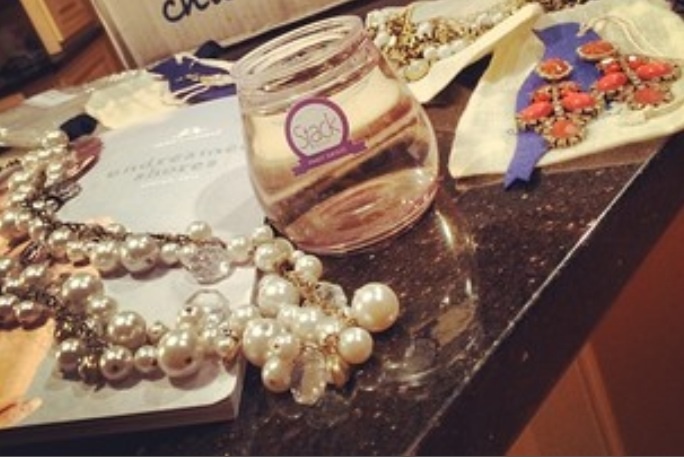 While you are eyeing the gowns and jewels, why not sip on a “Starlet.” Could there be a more apropos name?! Directions. Build all ingredients in a chilled champagne flute. Garnish with a long lemon twist.